Tina's Crop Shop: Under The Sea.. Just Because! What a fun project I get to share with you tonight! 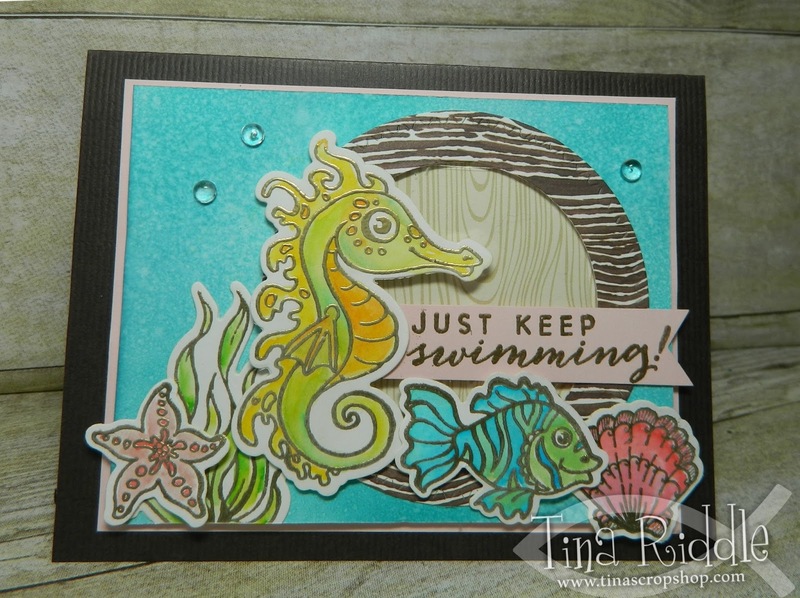 I had some more time to play around with the Fun Stamper's Journey "Under The Sea" stamp set and I LOVE it! The seahorse is just adorable. Here's a card that I thought I'd share with you!